21-year-old Brazilian striker Joelinton is one of the biggest benefactors of Hoffenheim’s summer preparations. Signed in the summer of 2015 the Brazilian was always seen as a long-term investment. Hoffenheim, in fact, hoped that they had once again unearthed a diamond in the then 18-year-old striker. The club from Baden-Wurttemberg had always done well on the Brazilian market. In 2007 the club signed Carlos Eduardo for €8 million from Grêmio in what was record Bundesliga 2 signing. Two-years later Carlos Eduardo was sold for €20 million, and even after Hoffenheim signed over the 20% clause to Grêmio, achtzehn99 had earned €8 million from Carlos Eduardo. Money that was quickly re-invested in the next Brazilian. Next in line came Roberto Firmino. Now a star at Liverpool and the Brazilian national team Hoffenheim signed Firmino for €4 million from Tombense in January 2011. Four and a half years later Hoffenheim sold the attacking-midfielder to Liverpool for €41 million. Unearthing diamonds and selling them on with a premium, even if the development takes a little longer, has been a prime strategy for Hoffenheim. 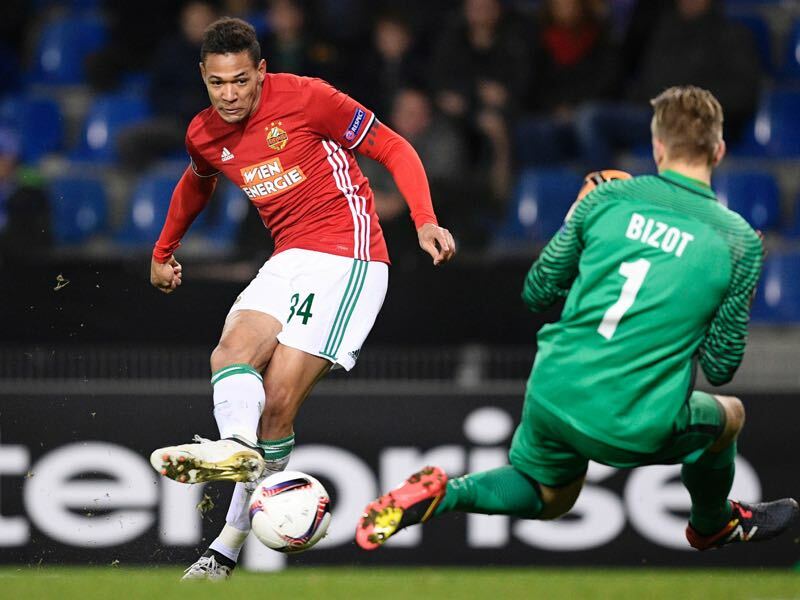 Hence, when the club signed Brazilian Joelinton from Sport Recife for €1 million in the summer of 2015 the decision makers new that the forward could be a long-term project. Tall and athletic Joelinton lacked the pedigree of a super-talent, however. In 12 Brazilian Série A matches for Sport, he had just managed three goals. Hoffenheim were no strangers to sign players that lack the statistical evidence of a potential superstar player, however. Instead, everything in the Kraichgau is based on setting up the club to be self-sustainable and successful in the long-term. Even if that means waiting for players to make a late step in their development. In Joelinton’s case, that development meant a full Bundesliga season in which he only featured once for the club. It was a season that turned Hoffenheim from a club on the brink of relegation to a Bundesliga contender. That year the club was falling towards the second division when the management decided to appoint the then 28-year-old head coach Julian Nagelsmann. Nagelsmann quickly started a small revolution at the club and part of that revolution was to send Joelinton on loan to Vienna-based club Rapid. Playing in a lower division, so the thought process would allow Joelinton to make the next step in his development. At the same time, the Austrians were also given an option to make the deal permanent, an option, which at €4 million, would have meant another profit for Hoffenheim. Hoffenheim once again gambled and, once again, may have bet on the right horse. While Joelinton did not shoot the lights out in his two years in Austria, he scored 21 goals and nine assists in 79 games; he made a big step forward in his development. In fact, the 192cm tall forward showed that he could play both as an all-out striker, or as a wall player in partnership with a true number nine. It is the sort of tactical flexibility that Nagelsmann loves from a player. Furthermore, Joelinton has put in an incredible work-rate this summer. “If you see what Joelinton has done [during the training camp], then I have to say that he is terrible weapon up front”, Hoffenheim sporting director Alexander Rosen told kicker last Thursday. “We signed him as an 18-year-old knowing that height and speed is something that you can’t learn”, Rosen added. Joelinton, in the meantime, has not only learned German in Austria but also gained the experience of playing first-team senior football. “Thank god, I have been given this body, I do a bit of weight training. There is a lot of body contact on this level, and you have to be strong”, Joelinton told kicker. The 21-year-old is now one of four all-out strikers in Hoffenheim’s squad. But Nagelsmann has always believed in strength in numbers. In fact, the ability to make tactical changes during a long season and even within the 90 minutes has been one of Hoffenheim’s biggest assets in the last two seasons. Furthermore, the Brazilian forward can fill the role that was left by Sandro Wagner last winter. 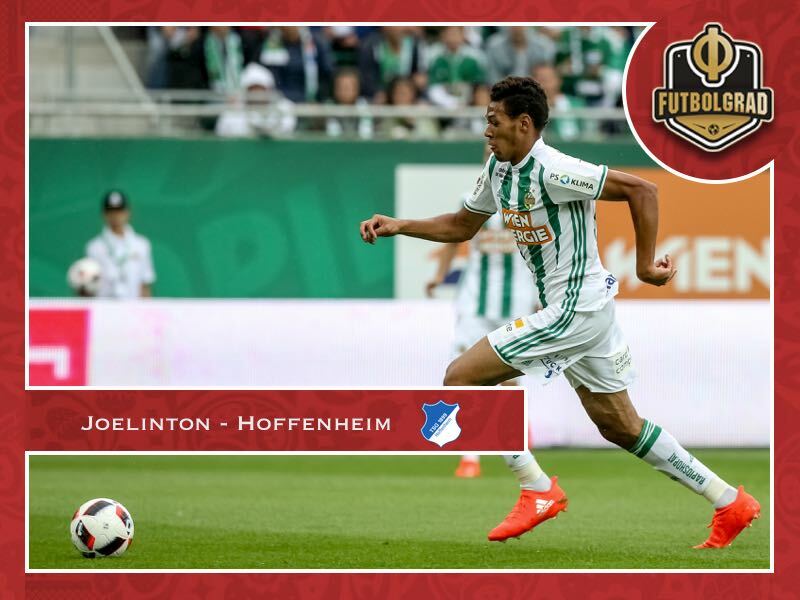 Like the Bayern striker Joelinton has the sort of physical presence that makes him perfect for Nagelsmann’s 3-5-2 system and with the club wanting to play a big role in the Champions League and the Bundesliga the club will once again strength in numbers on every position. Manuel Veth is the owner and Editor in Chief of the Futbolgrad Network. He also works as a freelance journalist and among others works for the Bundesliga and Pro Soccer USA. He holds a Doctorate of Philosophy in History from King’s College London, and his thesis is titled: “Selling the People’s Game: Football’s transition from Communism to Capitalism in the Soviet Union and its Successor States,” which is available HERE. Originally from Munich, Manuel has lived in Amsterdam, Kyiv, Moscow, Tbilisi, London, and currently is located in Victoria BC, Canada. Follow Manuel on Twitter @ManuelVeth.